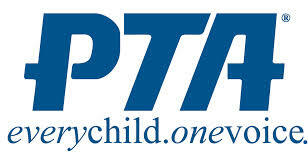 PTA is an acronym for the Parent Teacher Association. The A.L. Lotts Elementary PTA is a branch of the Tennessee PTA, which is, in turn, a branch of the National Congress of Parents and Teachers (National PTA). The PTA is a non-profit organization which seeks to unite the forces of home, school, and community on behalf of children and youth. Activities vary between chapters, but local PTAs often help schools purchase needed supplies, find classroom and school volunteers, keep school grounds clean, provide seminars or programs for parents and children on practical or interesting subjects, and hold teacher appreciation events. For more information about what the A.L. Lotts Elementary PTA does for our children, school, and families, please click here. For more information about the A.L. Lotts Elementary’s Executive Board, please click here. For more information on awards presented to our PTA during the 2014-2015 school year, please click here.